HBO's "Homeland" stars Navid Negahban ("American Sniper") and Shaun Toub ("Iron Man") playfully auctioning off $100 bills out of their own pockets. 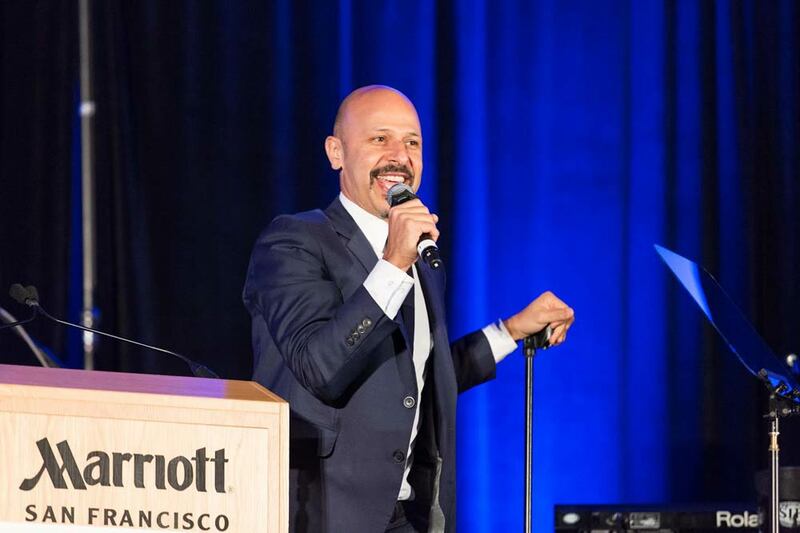 Comedian Maz Jobrani (Showtime, Comedy Central) served as Emcee and head auctioneer. 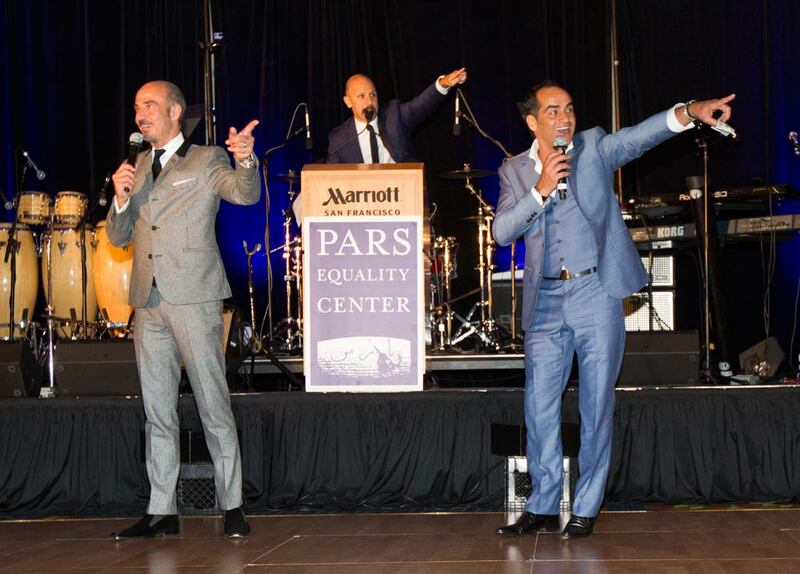 San Francisco, CA (March 15, 2015) - Last night, Pars Equality Center (PEC)- a Bay Area-based non-profit organization providing social and legal services to the Iranian-American community-celebrated its 5th Annual Nowruz/Persian New Year Gala at San Francisco’s Marriott Waterfront Burlingame Hotel. A cocktail reception and silent auction kicked-off the festivities at 7:00 p.m. on Saturday, March 14th. More than 800 guests were then treated to the hysterical musings of comedian/actor/author Maz Jobrani (Comedy Central’s “Axis of Evil Comedy Tour,” NPR’s “Wait Wait...Don’t Tell Me!”). Jobrani spontaneously invited actors and surprise guests Shaun Toub (“Papa,” “Iron Man,” “The Last Airbender,” “Crash”) and Navid Negahban (“Damascus Cover,” “American Sniper,” HBO’s “Homeland”), to the stage for impromptu support for the planned Live Auction. This annual sold out event was especially meaningful this year, as it also marked the non-profit organization’s 5th Anniversary since the 2010 inception by founder and executive director, Bita Daryabari. The event sells out well in advance each year. Last year, the 2014 Gala raised nearly $500,000.00-and was attended by over 800 influential guests, including San Jose Mayor Sam Liccardo. Saturday night also featured catered Persian cuisine, dancing, and a special live musical performance by Iranian pop singer and musician, Sepideh. Next for PEC is the highly anticipated Official Opening of the Daryabari Iranian Community Center-the new permanent home for PEC-on Thursday, April 16, 2015. The Center is the first to offer the most comprehensive slate of community programs and resettlement services available to the U.S. Iranian and Persian-speaking population. Daryabari adds, "Looking back over the past five years, we are extremely proud of the success we’ve had in our community, and beyond. Pars Equality Center has reached many milestones, including the imminent establishment of our new Community Center in San Jose. We have so much to celebrate, and I believe that the best is yet to come." 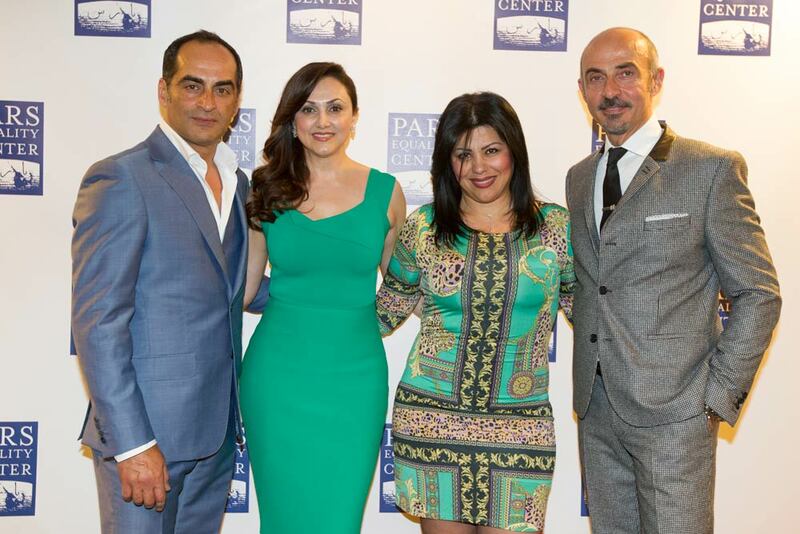 Founded by Bita Daryabari in 2010, the Pars Equality Center (PEC) is the first non-profit organization of its kind, supporting the full integration of people of Persian (Iranian) origin in the United States. PEC provides social and legal support for all members of the Iranian-American community, including refugees, immigrants and the American-born. The Center advocates for more positive perceptions of Persians in the U.S. media, while offering services and programs that help establish, integrate and support Iranian-Americans so that they are able to function responsibly and productively in American society. Daryabari’s aim is to create a more just and compassionate community in which Iranians of all cultures and beliefs participate. Based in Menlo Park, PEC opened its second office in San Jose in April 2012, and a third location in Los Angeles in September 2013. PEC is headquartered in the new San Jose-based Daryabari Iranian Community Center, opening April 2015, making it the first and most comprehensive non-profit legal, social and community support center, providing direct services to Iranians in the United States.